Keep it simple and chic in this beautifully designed top by Elena Miro. Cut with a classic shape with short sleeves and a round neck, this style features a floral cutwork detail panel for a feminine finish. 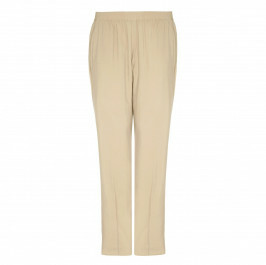 Pair with tailored trousers to complete this pretty picture. Ivory jersey drop shoulder top with flock on mesh shoulder detail to front. Main fabric: 86% Cotton, 14% Polyester. Fabric 2: 95% Polyester, 5% Elastane. Delicate Machine Wash.